Sony Ericsson's Head of Developer and Partner Engagement, Christopher David, has just got off the phone with TechRadar, announcing that the company has launched its own WebSDK in beta. The SDK offers app developers a simpler way in to making relevant applications for use over two different mobile platforms: Symbian and Android. 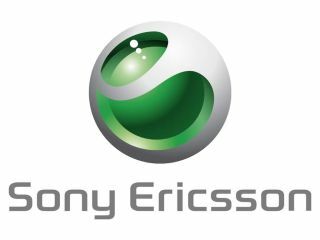 With the company's Xperia 10 Android handset set to release next year, Sony Ericsson obviously has a lot riding on the Google OS, so making a developer kit that will churn out decent apps for Android and Symbian (which runs the Sony Ericsson Satio among others) makes complete sense. Although the WebSDK has launched in beta, David told TechRadar that the kit is more than ready for developers to use, explaining: "Even though the SDK is in beta, this is no half-baked launch. The way we have been thinking is that it is a continuous evolution and therefore developers can use the development kit now but there will be extensions added to it." When we asked what would entice developers to use the SDK, David noted that they have made things as simple as possible which drills into the four main things a developer wants: "money, distribution, tools and fame." The WebSDK has been created in collaboration with the PhoneGap open source community and hopes to help "complete the puzzle" for developers working across different mobile platforms. "From creation it will only take a few days. Within a week you will have something up and running – this way we have made the entry barrier into development as low as possible." "That being said, what we are doing is taking a very pragmatic approach and giving developers exactly what they want." The WebSDK is available now and can be downloaded from http://developer.sonyericsson.com.